pinterest fascinates me. too much! i could get lost for hours. mostly for the food – i think it’s where i found the cake pops, and i lust after some of the macaron combinations i’ve found on there. 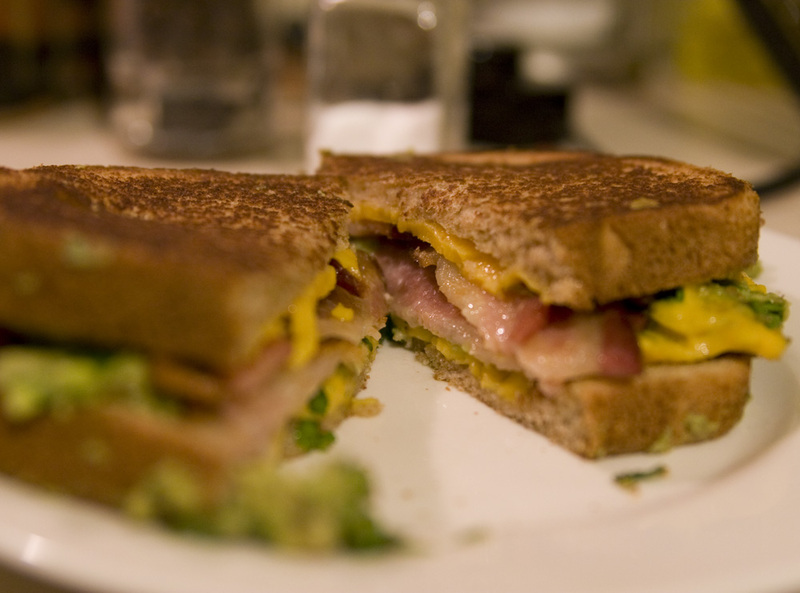 my cousin claire posted a photo of a grilled cheese-bacon-guacamole. NOMG! had to try. 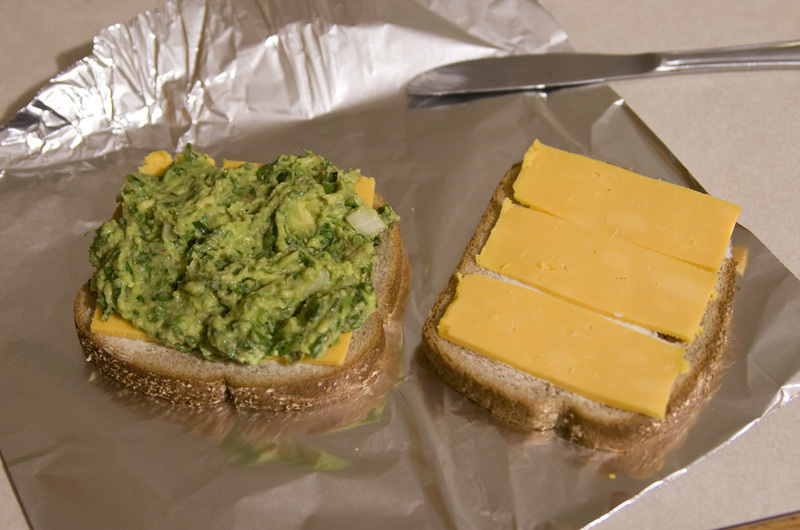 prep – threw bacon in the oven, made the guacamole*, put the cast iron on the stove to warm (along with the butter), and sliced the cheese. time to prep the bread! the bacon was putzy, so i started in. must butter both sides of the pieces of bread! 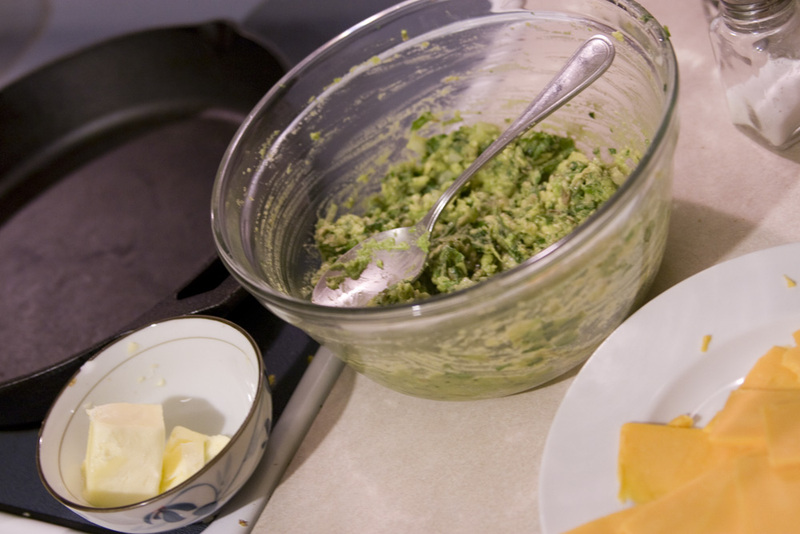 notice the liberal amounts of both cheese and guac. MMM. 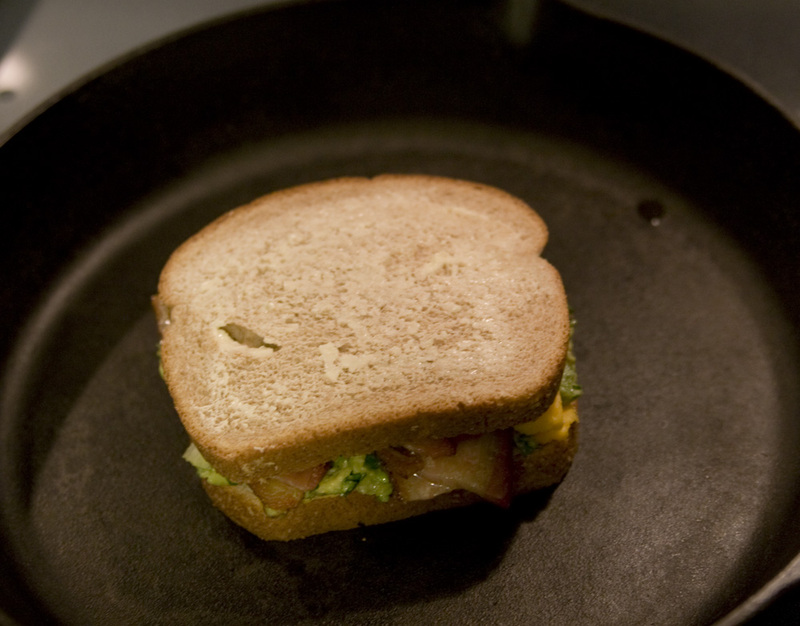 the bacon finally got done and i slapped that stuff together. into the pan! yeah, that’s right. cast iron. no messing around here. i have issues with my cast iron because i always have the heat too high. the bread was nice and toasty, but the cheese was not quite all the way melty. 🙁 could have also had to do with not using shredded, which melts easier. by the time i’d realized i had shredded, i’d already sliced and placed them in my butter-full bread. NOMG. still good. i ate it with a fork. *what, you want my guac recipe? 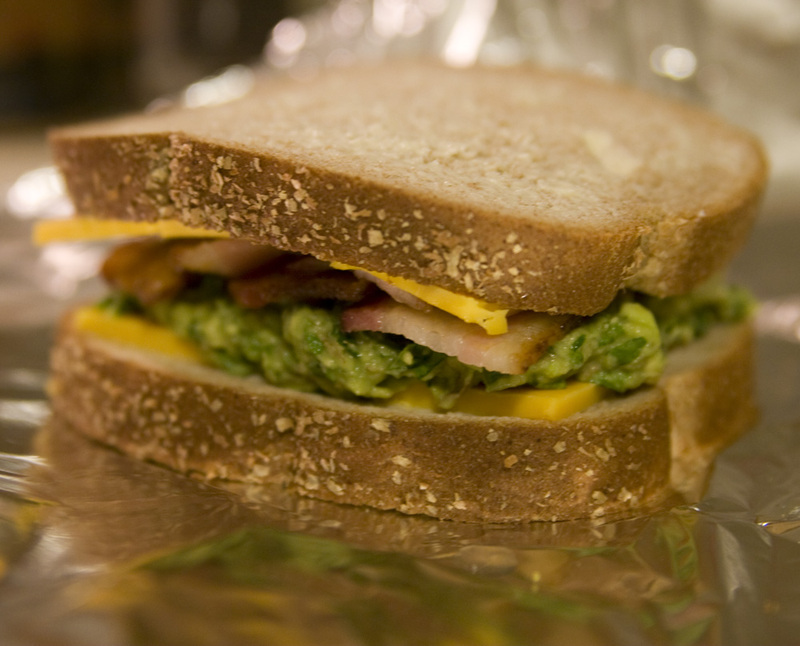 ok. 3 avocados – get out the goop and mash up. throw in a couple teaspoons of salt and a couple dashes of lemon/lime juice. a chunk of cilantro – chop it and throw it in. i use a lot. you don’t have to use a lot if you don’t want to. a little onion- as much as you want. chop it good. you don’t want a huge chunk of onion on your chip. jalapeño – if you like it hot, use a lot. if you’re like me, you’ll use a half a smallish pepper. MIX. EAT.